Please meet Izzy! 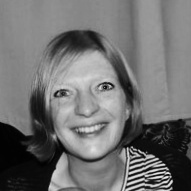 Izzy is an experienced VA with vast skills in admin and a passion for organisation and decluttering. As a qualified teacher and mother to a young family, Izzy is excellent at spinning multiple plates! Her specialties include administration and process improvement in addition to languages. Izzy is fluent in French and conversant in Spanish. She can be relied upon to get a job done and take the hassle from your to-do list. If you think that Izzy could help you in your business or you are looking for some support with foreign language within your business, please get in touch – we may be able to help you. Processes – creating, improving and sticking to.